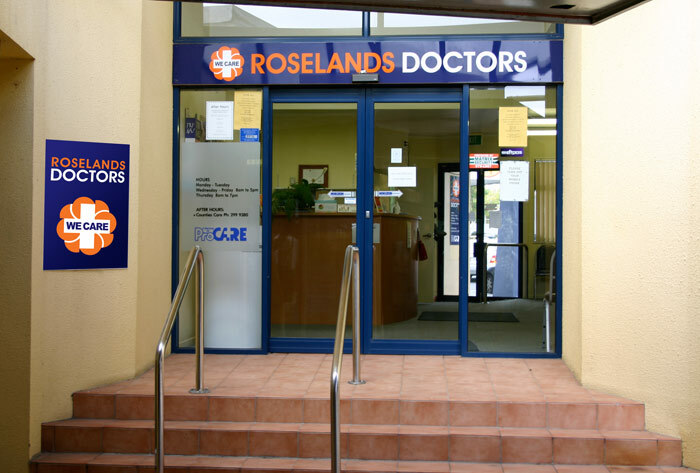 Roselands Doctors – as a general practice – has been present in Papakura for many years. It began as a solo practice with Dr Allen then Dr Robertson, followed by Dr Tim Kenealy. In the late 80’s‚ Dr Mary Daly joined the practice and it became Coles Crescent Medical. In 1998 the practice moved to it present location in the Roselands Shopping Centre to a purpose built facility. More recently , we have incorporated the adjacent building which is now Dr Steve Harris’ rooms, our administration area and lunch room. From its beginnings as a solo practice, Roselands Doctors has now expanded and has 6 to 7 doctors and a large team of practice nurses and administration staff. As a whole practice team, we aim to provide excellent medical care to all our patients in a pleasant and friendly environment. 8am to 5 pm Monday to Friday.